Software tools to help cloud solution providers. We develop tools to enable worry-free migrations to the cloud and to keep your cloud infrastructure secure once you've migrated. Looking for a reseller to purchase our products from? Check our growing list of resellers. 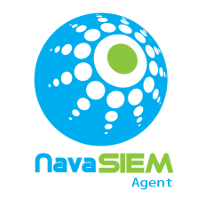 We have used Nava Certus to migrate large amounts of files to Google Drive and it worked perfectly. The tool offers lots of options to control the migration and is also able to migrate the existing permissions, folders and file modification dates. A client needed a migration with modified dates preserved, Nava Certus is one of the few tools that can do that trick and after learning its pretty simple interface I was very pleased with the way it worked. Migration is easy to pause, resume and redo if there are problems. After a couple sweeps we had moved a very large amount of data. Nava Certus is capable of transferring files from source to destination , and it offers an array of administrative features to ease the process. Nava Certus isn’t geared exclusively towards companies planning a move to Google Drive — it also works with Amazon S3, Dropbox, and other file servers. The install and setup took only a few minutes to start migrating docs from one Google Apps domain to another. The migration then ran completely without any intervention. For previous migrations, this was a very slow and manual process. With Nava Certus docs migration is now a few minutes to setup and then let it run.